Bet365 is one of the most familiar names in gambling, online and offline. It has a longstanding reputation as a great sportsbook and is arguably the best place in the world to bet on soccer. But that’s just part of the Bet365 experience–they are a full-service gaming destination offering poker, social games and a top of the line casino. The Bet365 casino offerings are especially impressive. With a wide variety of games, several different software platforms, mobile app and unmatched customer service Bet365 offers one of the best online gaming experiences in the business. Their reputation as a top ranked casino gaming company is quickly catching up to that of their highly respected sportsbook. All in all, Bet365 can rightfully be called one of the most respected gaming brands in the world. Playtech, Microgaming, Boss Media, Dynamite Idea, Electracade, NeoGames, Ash Gaming, Finsoft, Cryptologic (WagerLogic), Betsoft, IGT (WagerWorks), NextGen Gaming, Skill 4 Prizes, Blueprint Gaming, Amaya (Chartwell). Playtech, the industry leader for sports betting and casino gaming software, provides primary platform support for Bet365. Playtech designed software powers several of Bet365’s casino offerings including the ‘live dealer’ casino and the mobile gaming platform. 15 additional products are embedded in Bet365, making it #1 gaming site in terms of variety of games and gambling products. 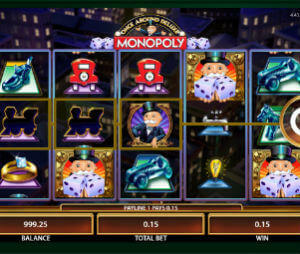 The casino graphics look incredible and the games play without a hitch. Regardless of what computer or mobile platform you use, Bet365 can get you in the game with options for PC, Mac, Android, iPhone and more! An online casino is only as good as the variety of games they offer. In that area, Bet365 has few rivals offering over 600 different games including slots, video poker, scratch card and keno. In addition, there are multiple variations of popular table and card games like blackjack, baccarat and roulette, including Live Dealer and Multi Player variations. This abundance of casino gaming should keep you busy for months, but don’t forget Bet365’s poker, bingo, sports betting, horse racing and social gaming options. No matter what your gambling interests are, you will find what you’re looking for. New games are added to the casino mix several times a month and when a new gaming technology comes to market, such as BetSoft 3D slots for example, you can be sure that Bet365 will be on the cutting edge! The bottom line for any gaming business is the ease of making deposits and withdrawals. While the options available to customers vary from country to country, Bet365 offers an unmatched number of methods for deposit and withdrawal in 29 different currencies. From Paypal to regional services like InstaCash to wire transfers, Bet365 has your banking needs covered. Your deposit gets instant credit to your account and withdrawals get approved within 24 hours. If you use one of many available ewallets, the winnings will hit your account within few hours. Credit card withdrawals take 1-3 days. Bank wires and checks take a bit longer. Financial security is just another advantage of dealing with a well-established company that has served millions of clients worldwide. Bet365 support is available 24/7 via Live Chat, email or phone. Live chat is the most comfortable option and average response time is few seconds. If you wish to contact by phone, there are toll free numbers for each country or you can request a call back using the form on the site. Simply put, Bet365 casino is one of the ‘marquee names’ in online gambling. Bet365 website is available in seventeen different languages to provide comprehensive service to their 14 million customers from 200 different countries. They offer a combination of gaming options, industry leading customer service and a legacy of excellence that few rivals can match. IGT, Aristocrat and dozen other software providers.